Bulgaria’s Prime Minister Boyko Borissov on 11th of February met with the UK ambassador in Sofia Emma Hopkins to discuss the attempted poisoning of the Bulgarian businessman Emilian Gebrev in 2015 and possible link with Skripal case. The meeting was also attended by Bulgaria’s Chief Prosecutor Sotir Tsatsarov and Interior Minister Mladen Marinov. British and Bulgarian services will jointly investigate whether there is a link between the poisoning of former Russian spy Sergei Scripal in Salisbury and Bulgarian businessman Emilian Gebrev in Sofia. Bulgarian Chief Prosecutor Sotir Tsatsarov said that a suspect in the attempted killing of ex-spy Sergei Skripal and his daughter in Salisbury, visited Bulgaria three times in 2015 and was there in April when local arms dealer Emilian Gebrev was poisoned. According to a signal submitted by him to the prosecutor’s office, there may be a link between the two cases. Emma Hopkins, the UK Ambassador to Bulgaria said that for several months, the UK authorities had been working closely with the Bulgarian authorities and services on the investigation. All other European partner services pay special attention to any suspicion of Russian service interference in Europe, and the UK has a wealth of experience, especially with the investigation of the Scripal case. Ambassador Hopkins, however, explained that at this time no information can be given on the case as the investigation continues. Data on the case of the poisoning of Emilian Gebrev was presented by the Chief Prosecutor Sotir Tsatsarov. 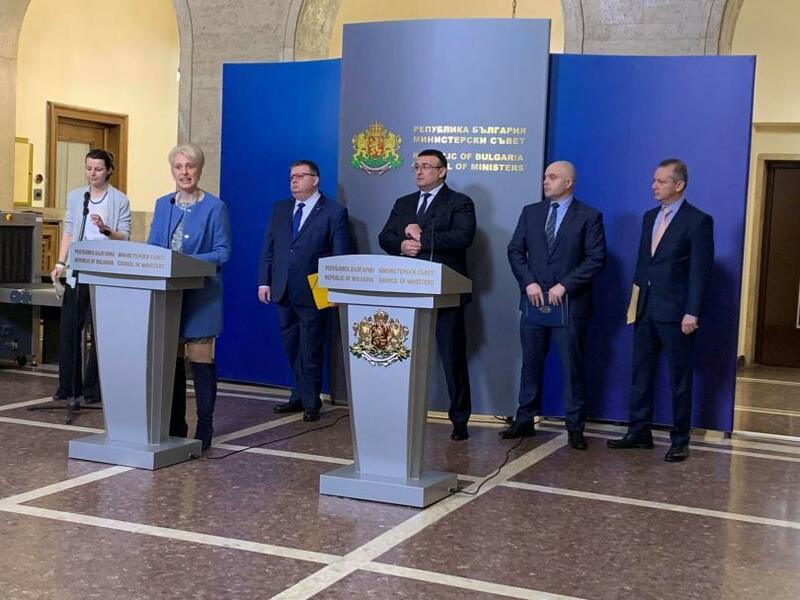 Sotir Tsatsarov, Chief Prosecutor: A European Investigation Order and relevant letters were sent to Britain to provide the legal basis for the interaction between the Bulgarian and British authorities. Any allegations of inaction in the investigation, any allegations that the case has been left aside and have not been handled by the Bulgarian authorities are not true. Emilian Gebrev had dinner with Polish business partners at the Kempinski Hotel in Sofia. A day later he was admitted ina serious health condition to the Military Hospital. It turned out that the executive director of his company, Emco, was also poisoned, and four days later his son was also poisoned. Sotir Tsatsarov, Chief Prosecutor: The conclusions of the toxicochemical assesments have shown traces of chlorpyrifos in coffee from the coffee machine in the house of Mr. Emiliyan Gebrev, as well as in organic matter - if it has to be quite accurate - in the vomit from his son, on his clothes. Chlorpyrifos, according to these reports, is an insecticide that is highly tactile and used to combat crop pests. A high content of chlorine is also found on rucola in the salad of Emilian Gebrev, which he ate on the day of the poisoning at the hotel. The farmer who delivered the salad was investigated, but the conclusions were that the poisonous substance was in small quantities that would not lead to the poisoning of Gebrev. Thus, the investigation was suspended until October 2018 when the Chief Prosecutor received a letter from Gebrev requesting a possible link with the Scripal case. Sotir Tsatsarov, Chief Prosecutor: As soon as I received it, the following day, I asked Sofia City Prosecutor's Office for information on the suspended proceedings and the investigation was resumed. From the interview held the following day after resuming the case on 16 October, it became clear for the first time that that immediately after the incident he had ordered a test in a Finnish laboratory, for which he had paid for. The result from the Finnish laboratory confirmed the presence of phosphorus compounds that are contained in certain pesticides, but no specific one was established. However, according to the laboratory, the substance used was not on the list of chemical weapons banned for use. At the same time, the Chief Prosecutor also presented facts related to Sergei Fedotov, who allegedly was involved in the poisoning of Sergei Skripal and who it said to have worked for the Russian GRU military intelligence service. According to the chief prosecutor, Fedotov came three times in Bulgaria in 2015, including during the period when Emilian Gebrev was poisoned.